Armenian web-site Panorama.am and Times.am have presented series of materials which told about activities of Azerbaijani President’s administration with assistance of former human rights defender, journalist Eynulla Fatullayev. Especially, the administration creates dummy NGOs in the European countries and sponsors their left-anarchic and anti-Semitic movement to destabilize situation in the EU countries and damage the authorities of those countries which accused Azerbaijan in mass violations of human rights. Creation of the European Information Human Rights protection Center (EIHRC) based on grant (sponsored by the state assistance council of Azerbaijani president) is presented as an example. Especially, the organization had an aim to blackmail the European political figures (Martin Schulz, Thorbjørn Jagland and so on). Here you can find more information on the case. 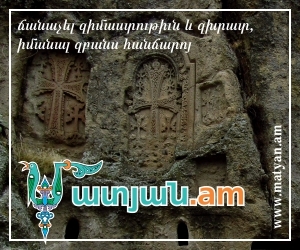 At the same time, “Golos Armenii” (“Armenian voice”) newspaper published detailed article on the theme on October 7 and 9. The article is entitled “Blackmail on Europe”. “The situation reminds us absurd theatre: Aliyev’s regime which for years has been under international critics for its human rights violations and the international human rights defenders and organizations call on to put sanctions against it, now sponsors “an independent monitoring” about the human rights’ situation in other countries… And then the same “independent” media gauges the European (and not only) governments for human rights violations in order to justify own crimes”, the newspaper writes. The newspaper also notes that EIHRC showed its anti-Semitic and anti-European activitiy in a short time. The organization assisted radical Islamic moods and destabilization of situation in various European cities, especially in France in summer and recently in Germany (Hannover). Organization director Thomas Piltz wrote about this on his Twitter page. Besides this, as the newspaper informs, the organization sponsored by Azerbaijani President not once expressed dissatisfaction towards human rights’ organizations in France, especially, connected with “Nicola Sarkozy case”. (http://eihrc.org/newsboard/pressrelease/article-150). “Golos Armenii” also writes that Hannover actions meant the beginning of the so called “reluctant monitoring” by the Center which, according to Azerbaijani plan, should occupy the Great Britain, Switzerland, Germany, Norway and Denmark. “It is obvious, that on one hand Aliyev regime signs important contracts with the West on energy export and poses itself as the Europe’s saver from cold and hanger and on the other hand, it sponsors activities of various extremists inside the European Union. On the one hand, it swears Russia and Israel “to love forever” and on the other hand it sponsors anti-Russian and anti-Semitic actions. In the EU countries Azerbaijan becomes the sponsor of radical Islamists and left-anarchic movement and in his native country it assists anti-Russian and anti-Semitic moods. One can suppose that such activities by Aliyev regime must be examined more seriously by those governments where it acts”, the newspaper concludes.